Waterproof alone just does not cut it, at least not for this category of smartphone. Let us be honest - how often do smartphones really kick the bucket after being submerged in fresh water for a few seconds? In our opinion, the fact that most smartphones are made entirely out of glass for reasons of design is much more problematic and risky, and this trend has been spurred by the increasing popularity of wireless charging technologies. Unless you have purchased an extended warranty, repairing an iPhone X’s or XS’s broken display can cost around $280. However, repairing the glass panel on the back of these exact same phones will set you back at least $550. In other words, unless the phone is brand spanking new, a broken back panel nearly constitutes a total loss. Accordingly, using such a phone without a protective shell can almost be considered grossly negligent. Outdoor enthusiasts are faced with a tough dilemma. Should they opt for a thick protective rubber case in order to continue using their phone even in adverse conditions? The downside is that considering the excessive repair costs an element of risk remains. 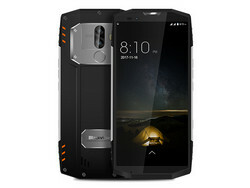 Or should they opt for a smartphone specifically made to withstand the most adverse conditions humans can think of? Those can be used without protective covers, are capable of surviving high drops, and are dust- and water-proof to boot. Here are the 10 best rugged outdoor smartphones reviewed by us. The table can be sorted by clicking on the headers. The best way to protect the display against direct pointed impact is an additional layer of protective tempered glass, which is specifically designed to absorb the energy by shattering, thereby protecting the display underneath. At a price of $10 to $20, tempered glass is usually well worth it, and can be easily and safely applied and replaced at home. Among others, Amazon offers a large selection of protective tempered glass covers for the most common smartphones. Outdoor smartphones are not primarily about high performance figures. The Ulefone Armor 6 still offers midrange performance for all your daily tasks. We also recorded a runtime of more than 14 hours in our Wi-Fi test, a lot of storage and good build quality. The device is not cheap, though: Prices vary a bit, but more than 400 Euros is not unusual. The smartphone offers a high protection class and is protected against solar radiation, a short bath in acid liquids or extreme temperatures. A good overall package with high protection class. 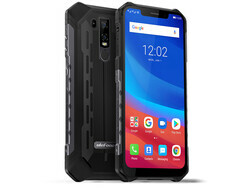 The robust chassis protects a screen with a notch. However, it is not particularly bright, which can be an issue outdoors. Another issue is the inaccurate fingerprint scanner. The Ulefone also features an acceptable camera, so it is still a good overall package for extreme situations. Smartphone or power tool? Almost impossible to tell when looking at the CAT S61. It is equipped with an infrared camera, a laser rangefinder, and sensors to determine ambient air quality. As such, it is made for professionals in the manufacturing and construction industry, which is also reflected in its high price of $1,000. 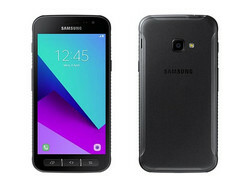 The phone’s specifications tell us that this phone is much more than a “ruggedized” standard phone. In addition to IP68 and IP69K certifications it is also MIL SPEC 810G certified, which includes temperature resistance within a range of -25 °C (-13 F) to 55 °C (131 F), category 4 vibration resistance, humidity, and salt fog. The CAT S61 is primarily a digital power tool for professionals. In our review, the CAT S61 surprised us with decent battery life, a very bright display, decent cameras, and solid overall performance. GPS positioning worked flawlessly. However, if the above mentioned specifications mean nothing to you, then the phone may not be the one for you. 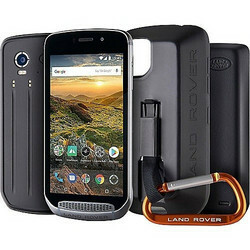 British manufacturer Land Rover does not only have particularly capable off-road vehicles for sale but also a matching rugged outdoor smartphone dubbed Explore. 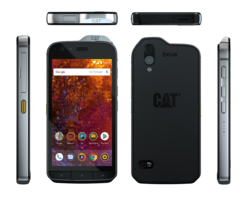 And to make it even more enticing the phone is made by no other than the company behind the CAT line of smartphones, Bullitt Group. 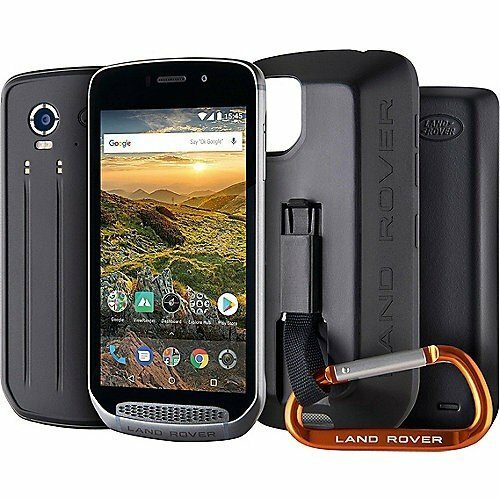 The Land Rover Explore’s massive and bulky MIL STD 810 and IP68-certified case is surrounded by a metal frame overhanging the display at the front, thereby offering additional protection. The modular concept is particularly interesting: the Explore can be upgraded with an extra battery and an improved GPS antenna by using the included adventure pack accessory. Thanks to the included accessories, the Land Rover Explore turns into a device made for off-road experiences. At a price of roughly $700, the Land Rover Explore offers a nice and attractive design with an optional accessories pack and a protective shell. We particularly liked the device’s bright display and the additional clip-on power source that increased battery life significantly. 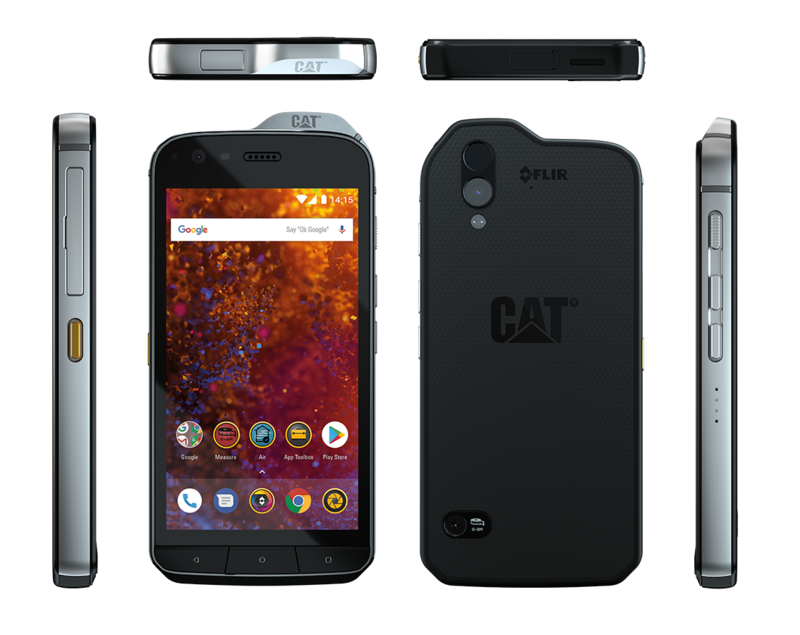 The CAT S41 is a device focused more on smartphone features than the S61, and therefore lacks the latter’s special features such as the laser rangefinder. 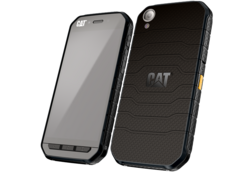 However, it is still well protected against vibrations, shock, dirt, and water (IP68 and MIL SPEC 810G). The S41’s case is made of a soft plastic that can absorb direct hits very well, and it is also very grippy to prevent accidental slips. Its ports are covered. 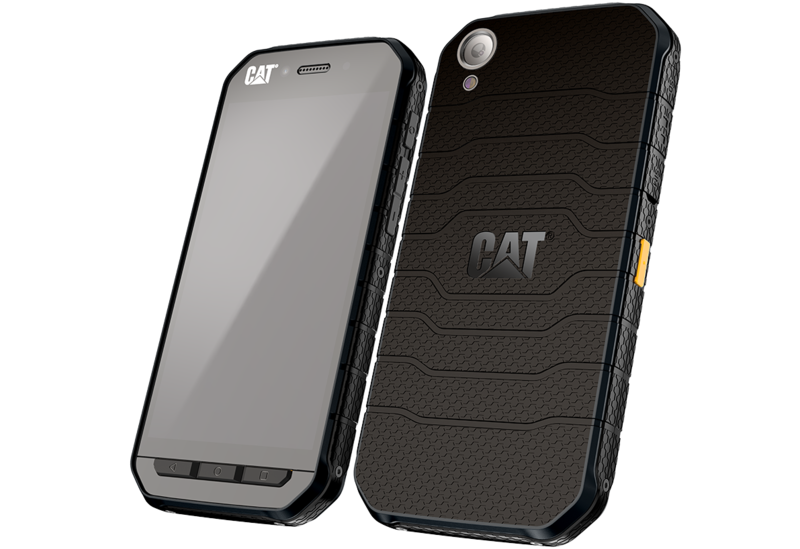 The CAT S41 is definitely more consumer friendly thanks to its lower price and its hardware. In our test, the CAT S41 proved to have a particularly robust case. We also liked its dual SIM plus microSD capabilities. Performance and cameras turned out to be solid, and the phone can be had for less than $500. If the in-your-face rugged look just is not your thing the Samsung Galaxy XCover 4 might be the phone for you. 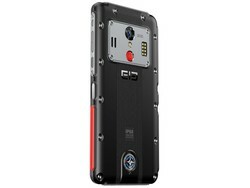 It is dust- and water-proof (IP68, MIL STD 810G) and equipped with a rubberized case well protected against shock. However, the mechanical ports (microUSB, 3.5-mm audio) are unprotected, which may prove troublesome in dusty and muddy environments. On the plus side, the rear cover can be removed in order to replace the battery underneath. Affordable ruggedness: Samsung’s Galaxy XCover 4 offers a robust, grippy, dust-, and water-proof case at a comparatively low price. In our test, we particularly liked the XCover 4’s long battery life and bright display, however not all that glitters is gold and the device suffered from a few drawbacks as well. Nevertheless, at less than $200 the phone is a great deal. IP68 certification, robust chassis, decent performance, plenty of storage, comprehensive sensor equipment. The Elephone Soldier offers all that. What more can you want from an outdoor smartphone? Well, for example preloaded apps to use the sensors or longer battery runtimes or a reliable fingerprint scanner. These are deficits on the Soldier. An outdoor smartphone with pros and cons. The low price tag and the integrated physical compass are definitely pros, which can compensate some of the drawbacks. 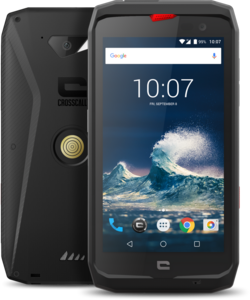 French manufacturer Crosscall is primarily targeting outdoor sports enthusiasts with its products, and the Action-X3 is a mid-range outdoor smartphone. 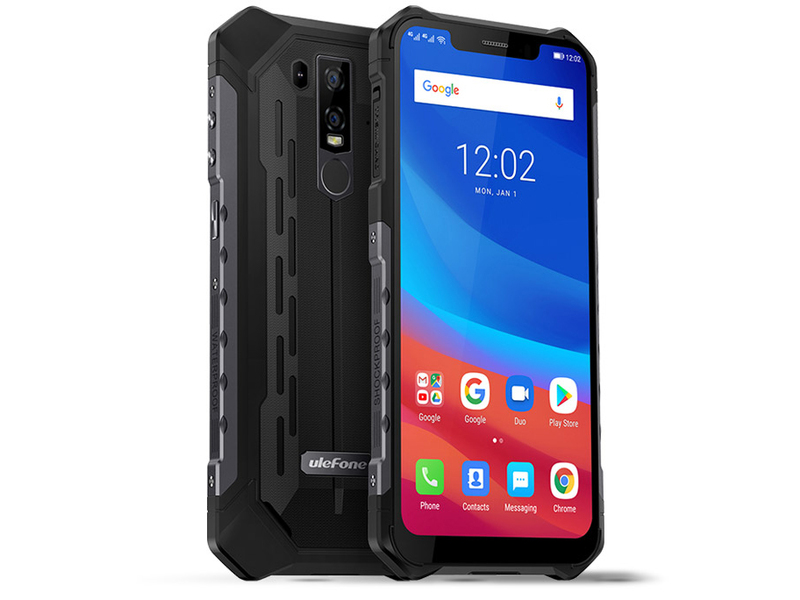 Its bulky case is MIL STD 810 and IK02-certified to withstand shock and vibrations, and it is also dust- and water-proof. Optionally available accessories, such as a docking station for your home or car and bicycle mounts that the phone attaches to magnetically, make it much more enticing. The Crosscall Action-X3 is particularly interesting due to its numerous useful accessories. In our test, we found a well-protected rugged case and fast Wi-Fi performance. Camera and battery life were okay for its price range, and the Action-X3 currently sells for around $370. 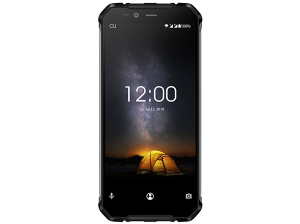 You should not expect too much from the Oukitel WP1 since it is an outdoor smartphone for less than 200 Euros. The quality of the smartphone case is decent and it is protected against a lot environmental influences thanks to the IP68 certification. It only features the 720p resolution and the speaker is hardly usable at all. The security patches are already outdated as well. The Oukitel WP1 does offer a dual-camera at the rear, but the second lens does not seem to have a useful function, and it certainly does not help the Bokeh effect. A pretty sturdy outdoor smartphone with wireless charging and long runtimes. Thanks to the plastic case, the outdoor smartphone even supports wireless charging and a WLAN runtime of more than 16 hours. You can even use the device as a power bank for emergencies. The display is bright and the case is sturdy, so the Oukitel WP1 might be a good fit if your expectations are not too high. The Oukitel WP5000’s general mantra seems to be to show off as much as possible. With its massive plastic case decorated with stainless steel elements it is both rugged and good looking at the same time. Its IP68 certification ensures that it is also dust- and water-proof. Oukitel WP5000: robust case meets extremely long battery life and great GPS. In our test, we particularly marveled at its extraordinary GPS capabilities, its high display brightness, and most importantly its exceptionally long battery life of up to 20 hours in our Wi-Fi test at normalized brightness. 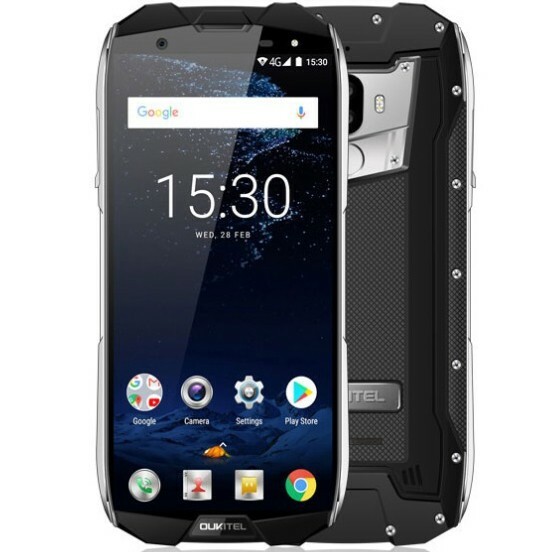 Blackview is a Chinese manufacturer selling its devices on platforms such as Amazon, Geeksbuying, or Gearbest. 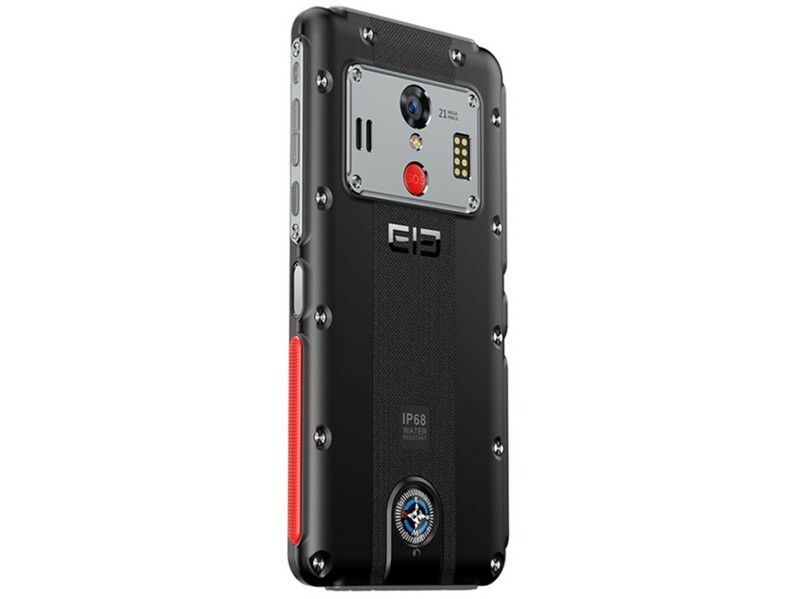 The BV9000 Pro is equipped with a solid and very bulky IP68-certified case featuring a somewhat quaint design. 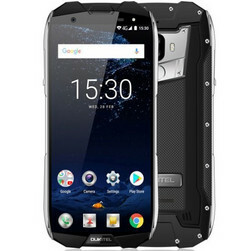 The Blackview BV9000 is ideal for adventurous users that do not shy away from importing a device straight from China. In our test, it proved to have a particularly accurate GPS, a very bright display, and very long battery life of up to 19 hours in our Wi-Fi test.